Back in June we began to pray about an opportunity to take on a Children’s Pastor position at a church. 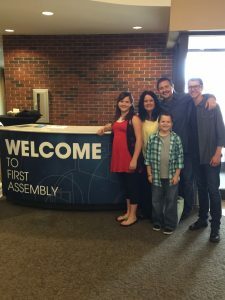 After talking it over as a family, lots of prayer and a visit to that church, I’m happy to announce that we are now the Children’s Ministry Pastor family at First Assembly Community Ministries in Lafayette, IN. It’s an exciting time as we are just now evaluating the Children’s Ministry and dreaming about the future… along with unpacking a house and trying to get all of my resources to fit in my new office. I’ll continue my series on “Making Children’s Church Better” as we engage in this new setting. So stay tuned!